Ohhh, don't get me started on how much this book made me want to dig my eyes out. 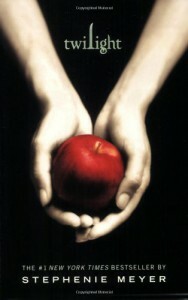 Oh Bella why did you have to fall head over heels with a single glance? Bella, why did you have to be the worst possible character. There is so much about this book that I just don't get. I really wanted to like this book, I tried really hard but I just could get the feels for this book. Gosh, the movie was sorta better than the book. But Bella is totally annoying to read and even watch, I mean if she's deep in love with Edward you think she would at least light up with a smile when she sees him. Gosh she walks around like a depressed zombie more than half the time. Are you seriously kidding me??? This is a conversation, supposedly flirting, between Bella and Edward. (Bella: "You're like really pretty.") What?! You call this flirting?!? I would never say this to another guy, ever, period! It's immature dialogue like this that makes this book SO extremely annoying!! Sorry Mrs. Meyer, the concept of the story was great and would make for a great book but Bella totally ruined it for me.